You love riding bikes, so there’s a pretty good chance you also love sharing a couple of pints with your friends after a good group ride—especially one that benefits our local Asheville cycling community. Free coffee, snacks and prizes never hurt anyone, either. If this sounds like a perfect day to you, sign up now for Bikes & Beers on Saturday, August 4th for an awesome organized ride event, featuring two fully supported rides (a 16 mile and 26 mile option), followed by a festival after-party at New Belgium Brewing. Proceeds go to Asheville on Bikes! Registration is $45 per rider until 7/27/18. Late registration through event day is $50. Save $5 when you pre-register online with this discount code: AoBRides. Proceeds from the event go to Asheville on Bikes to help us build a better cycling infrastructure in Asheville. Click here to register. Fully supported 16 mile or 26 mile ride, including free pre-ride coffee & rest stops with snacks. All faces, all paces welcome. Raffle ticket: you could win a new bike, cycling kit & more! The 26 mile ride rolls out at 9:30AM. The 16 mile ride rolls out at 10:30AM. We’ll get the party started at 9AM. Grab yourself a La Columbe coffee while you get your bike ready to ride. Live music, games and activities continue at New Belgium until 2:30PM. Want to participate without riding? AoB is currently seeking volunteers to help support the event. Volunteers get coffee, snacks, entrance to the party after their shift and two free beers. To sign up, fill out & submit our volunteer form. Bikes & Beers helps cities throughout the U.S. strengthen their local cycling community by bringing together local, independent breweries and cyclists. Every Bikes & Beers event benefits a local cycling charity to help improve policies and infrastructure and make cycling a safer, more viable option for transportation and recreation. 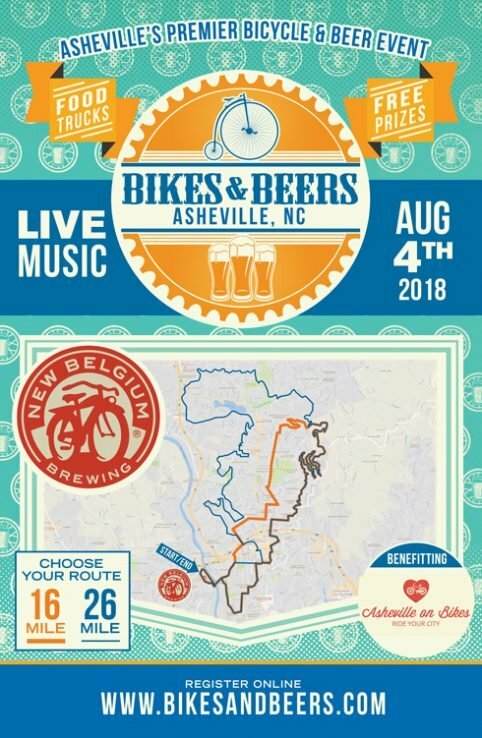 Asheville on Bikes is proud to be the beneficiary of this year’s Bikes & Beers event in Asheville. Bikes & Beers has a reputation for putting on a stellar event with a relaxed, friendly atmosphere. And, as always, we want to thank New Belgium Brewing for their continued support and for hosting so many of our AoB events, including Bikes & Beers. 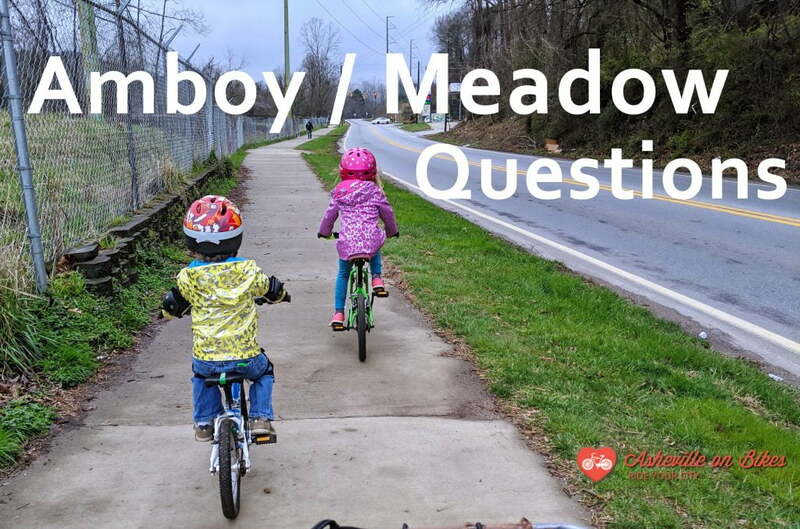 We’ll be happy to answer any questions you have about Bike & Beers or Asheville on Bikes. Just contact us and we’ll get back to you as soon as we can.